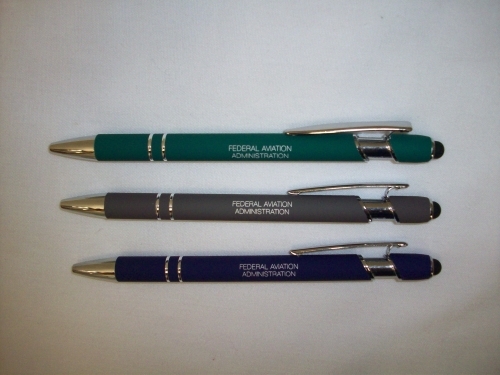 Soft Touch barrel with "Federal Aviation Administration". BLUE ink. Choose from Green, Taupe or Purple barrel.